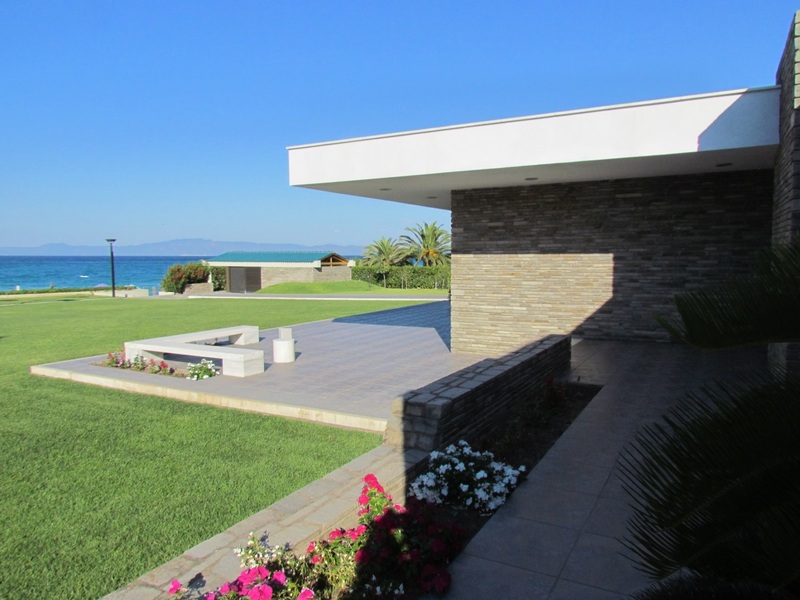 Villa Aurora is a timeless architectural jewel built by a renowned architect in 1974 and maintainedin absolute mint condition by its owners. 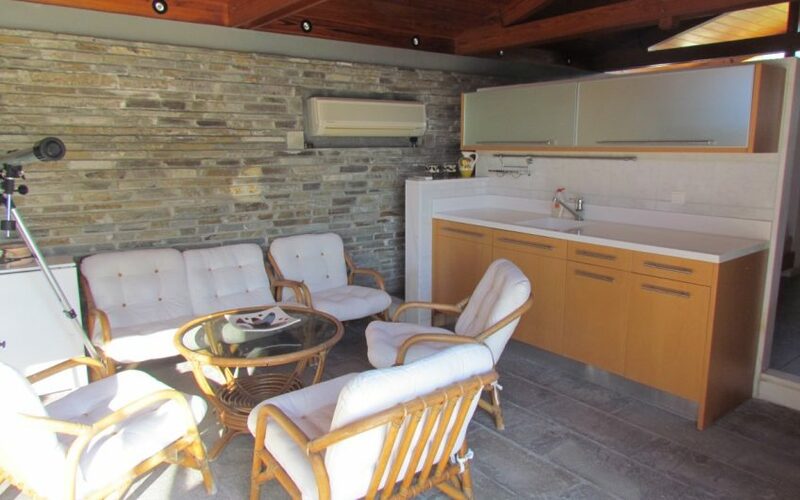 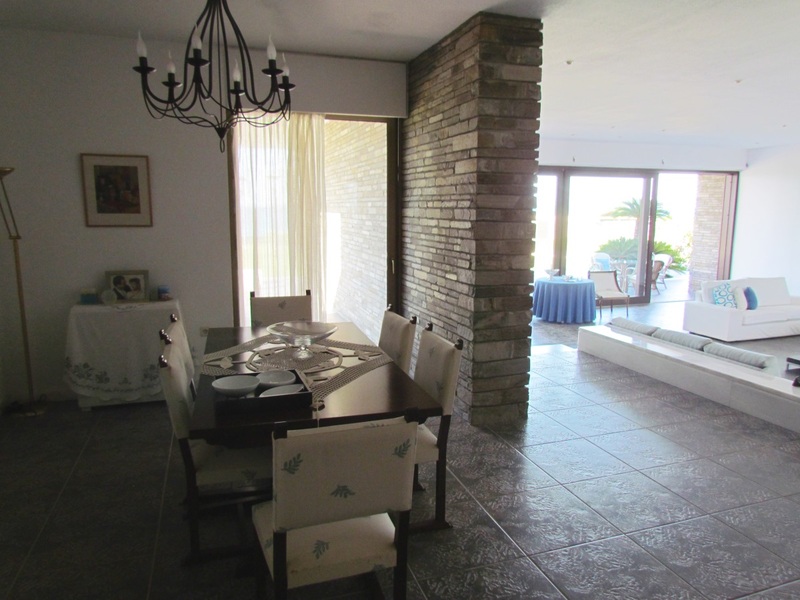 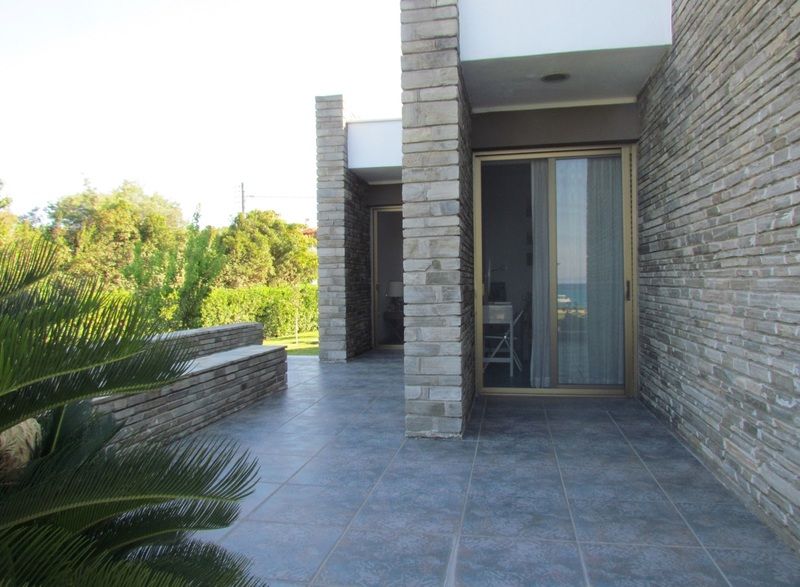 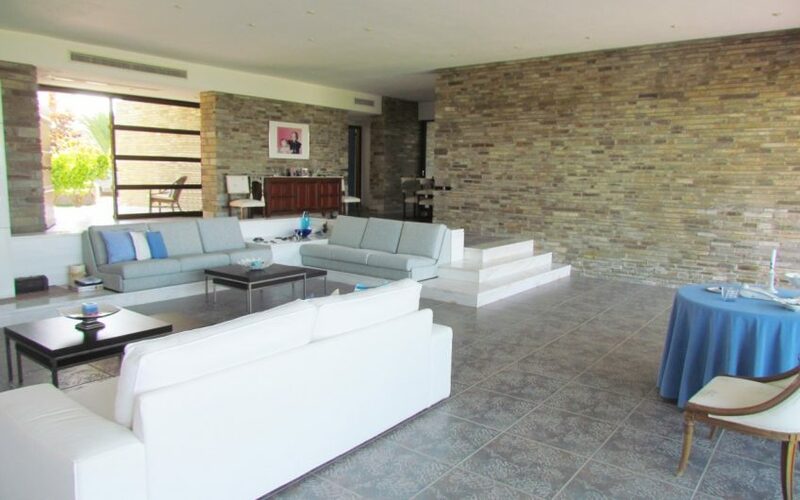 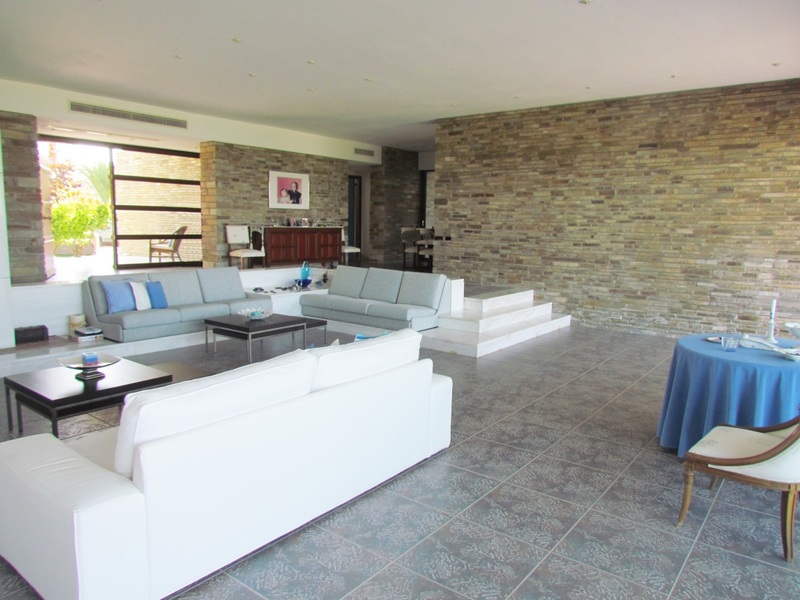 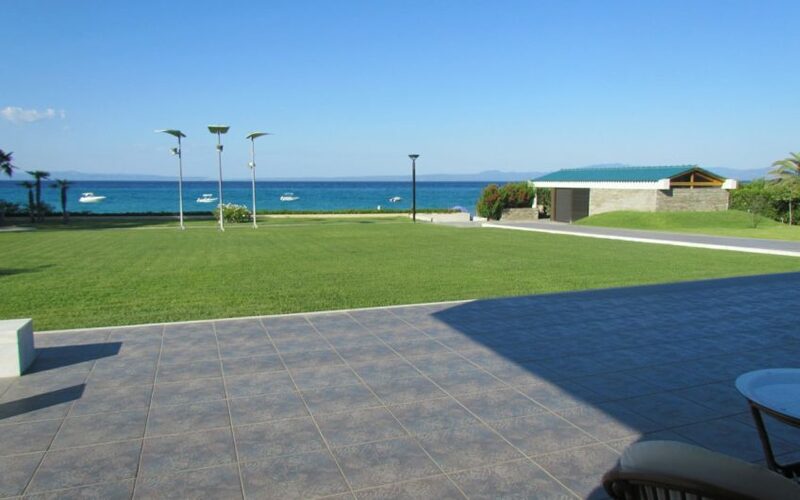 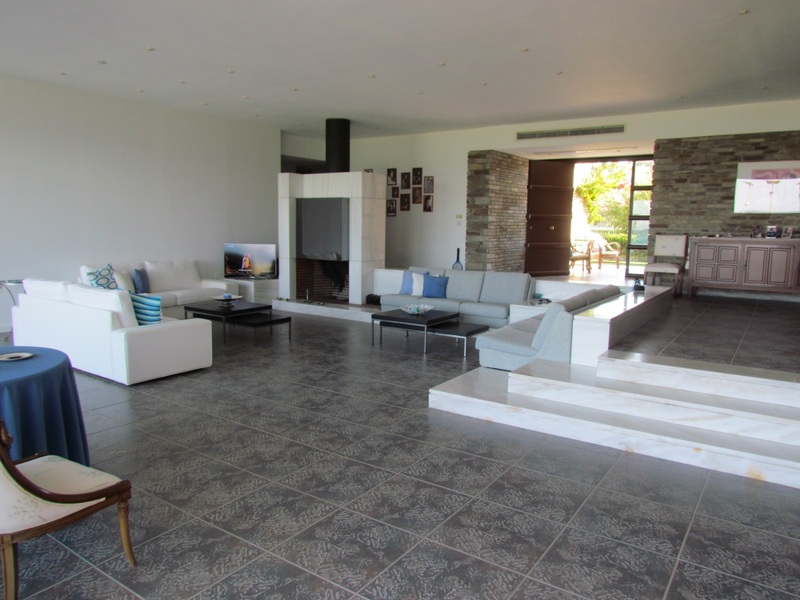 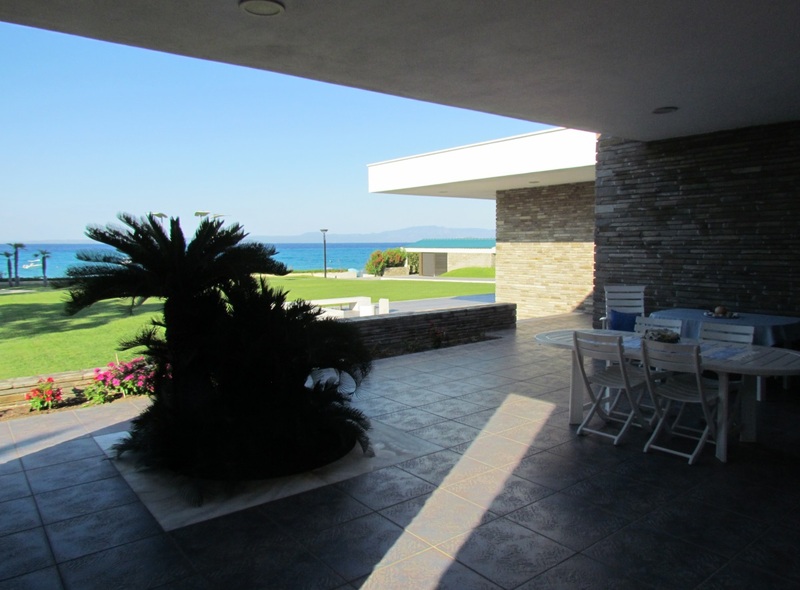 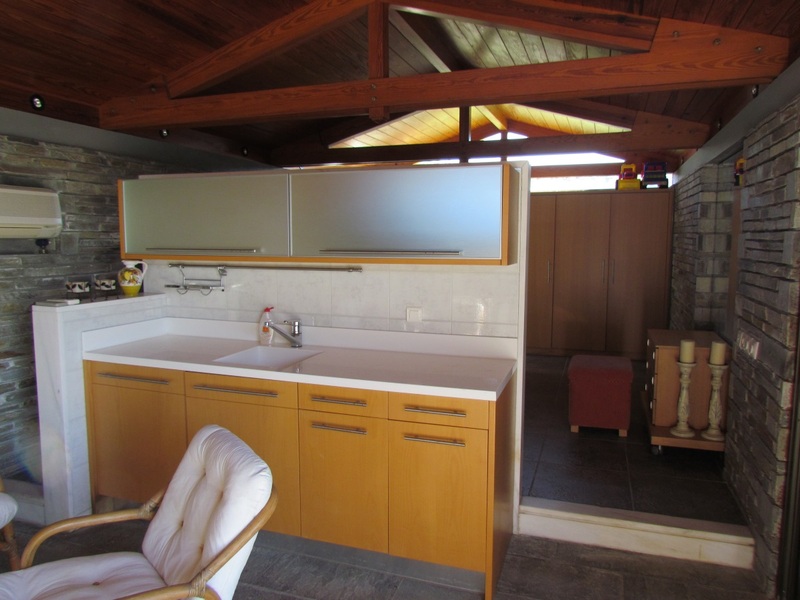 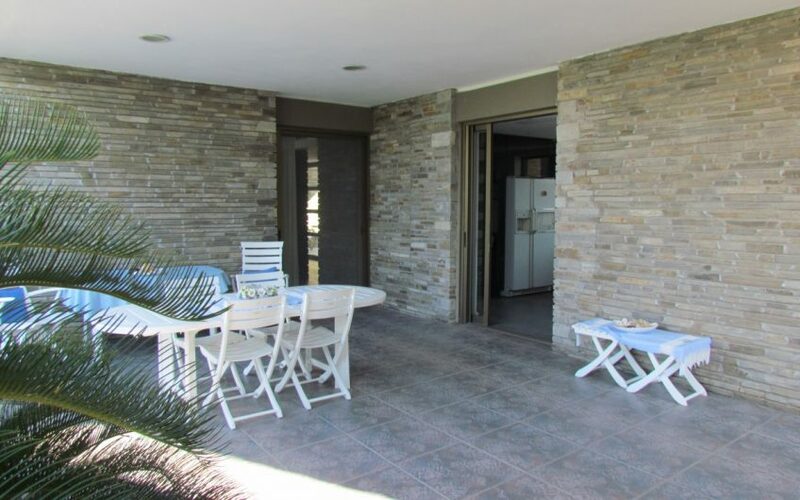 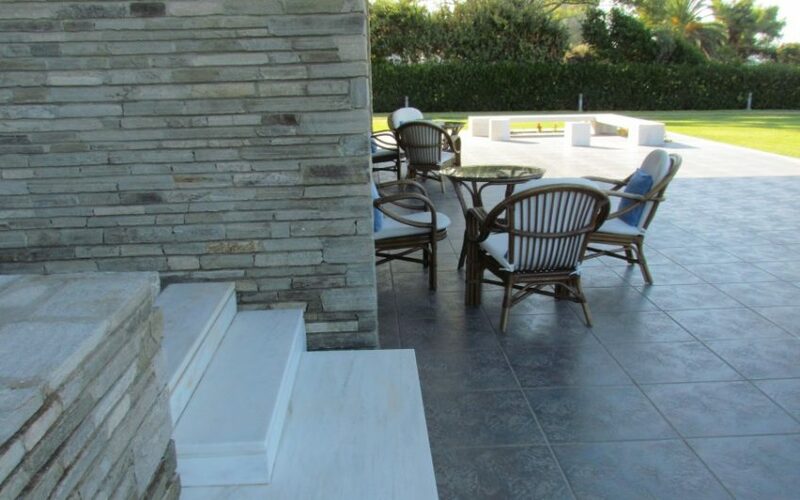 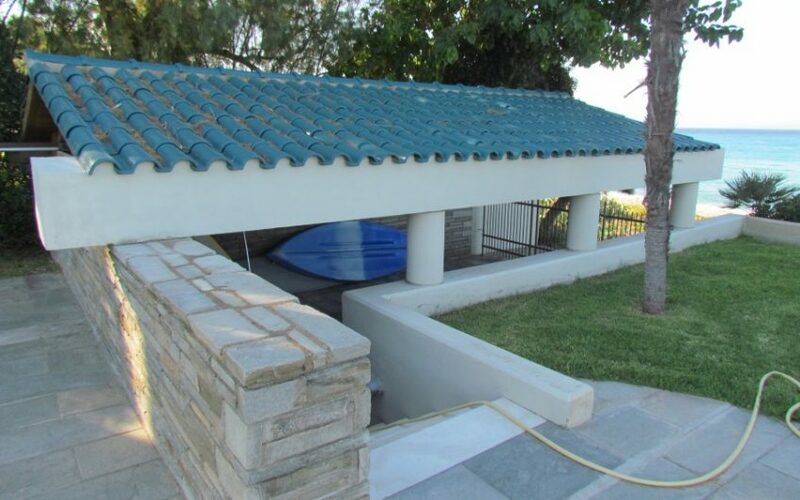 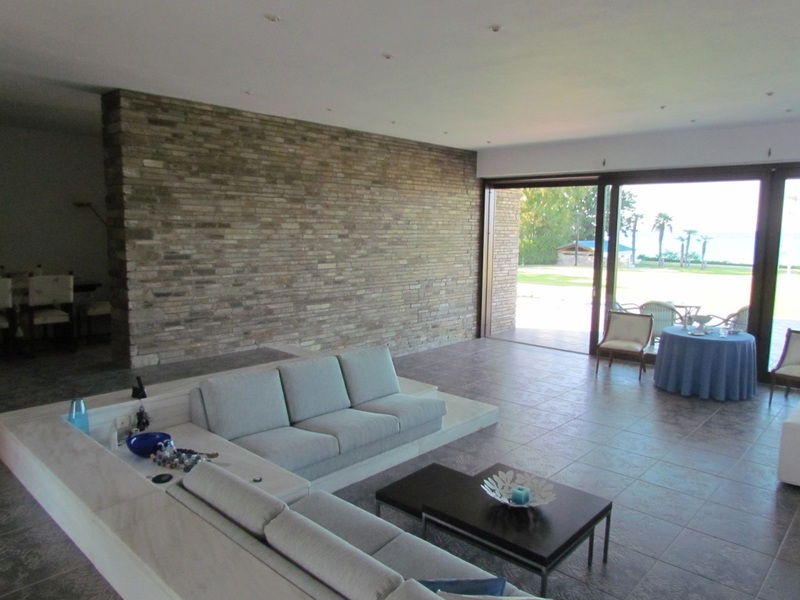 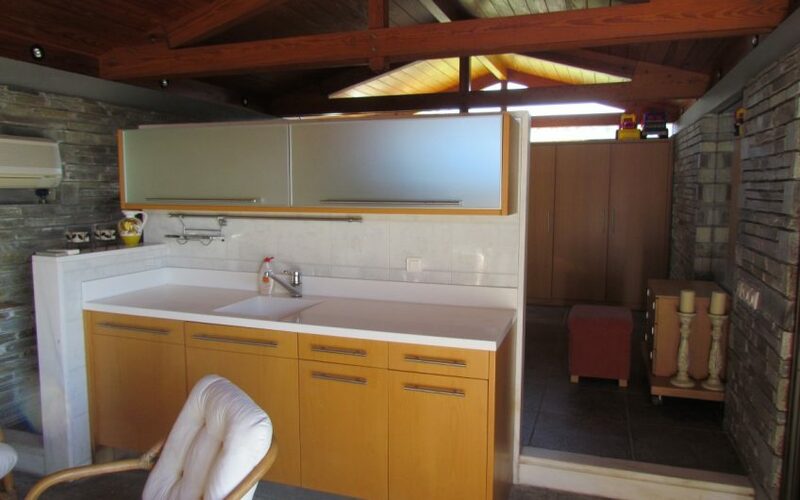 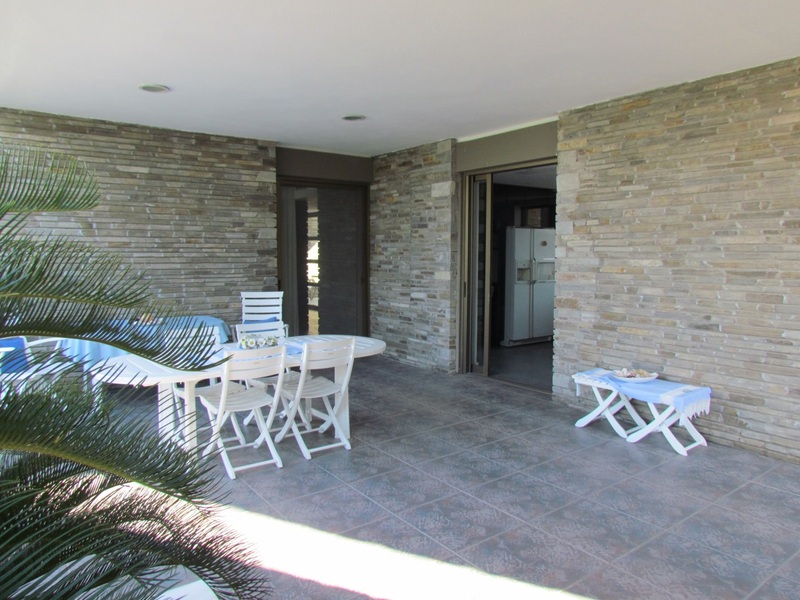 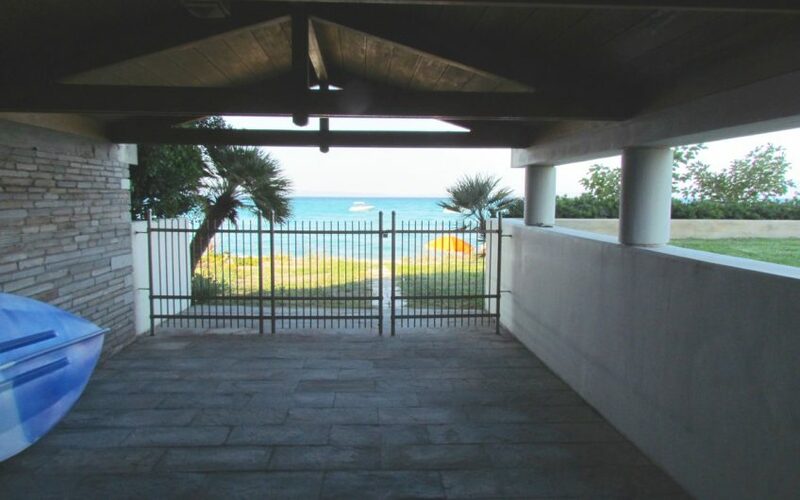 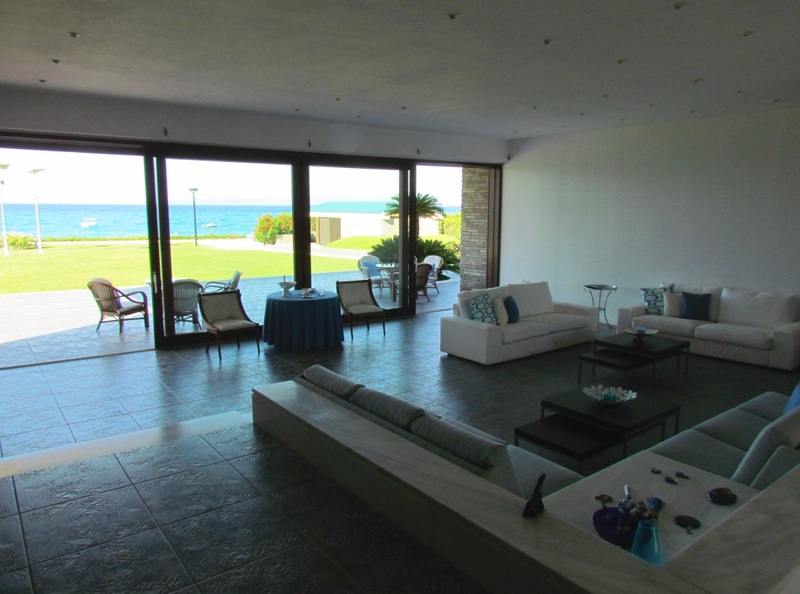 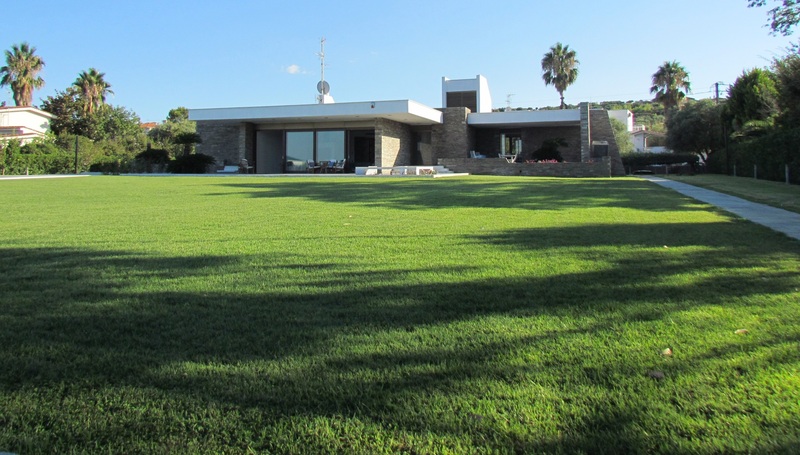 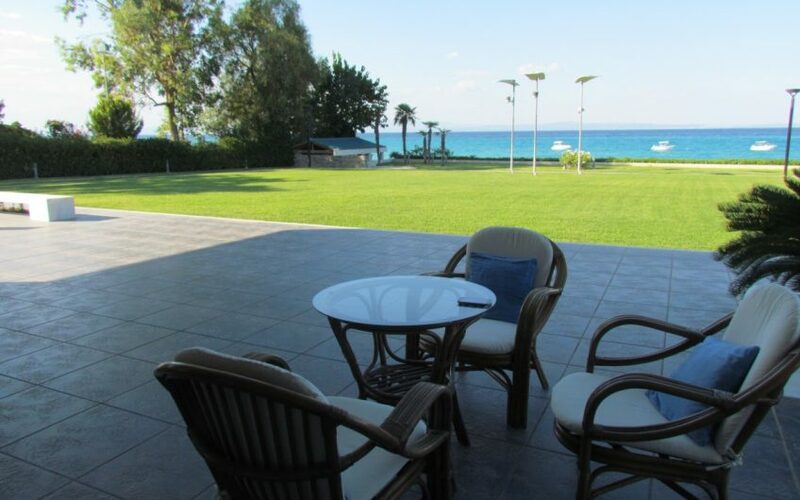 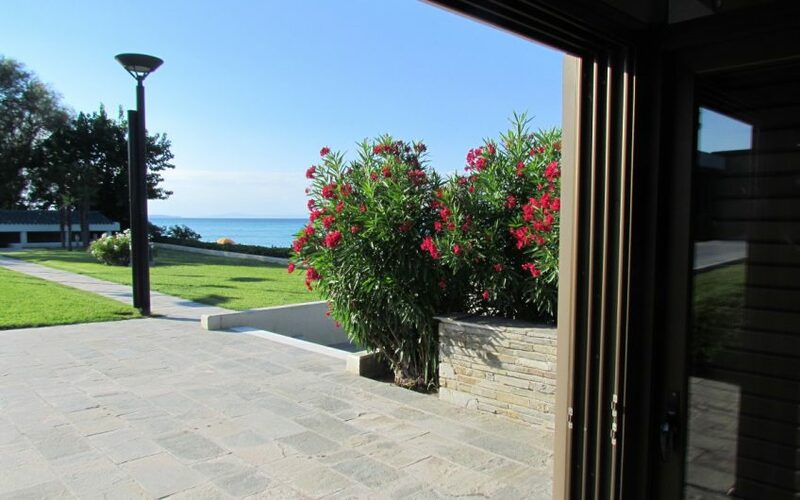 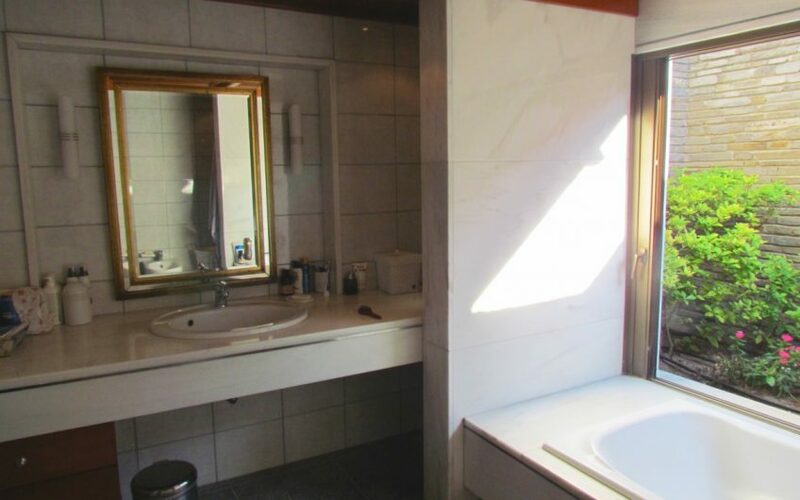 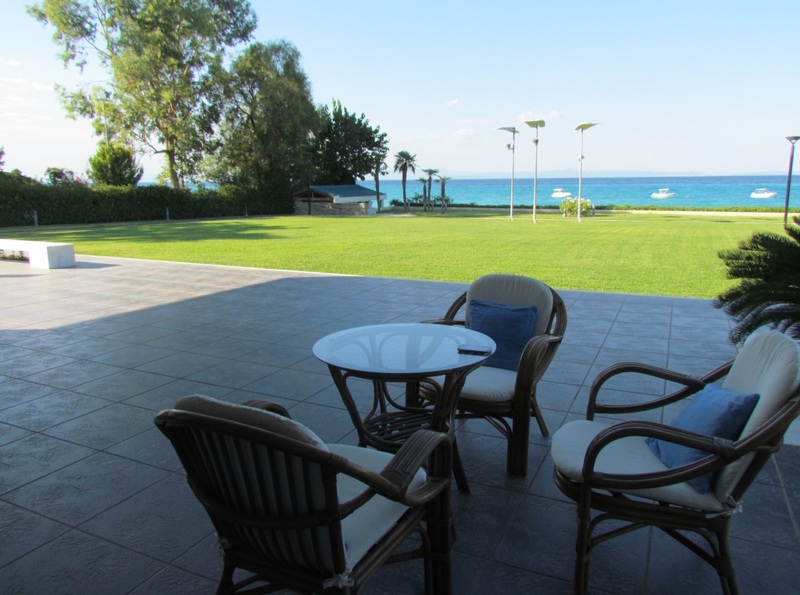 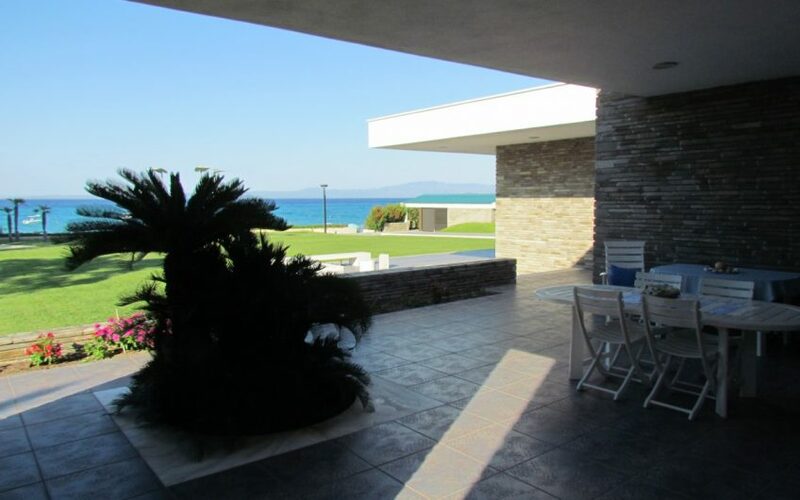 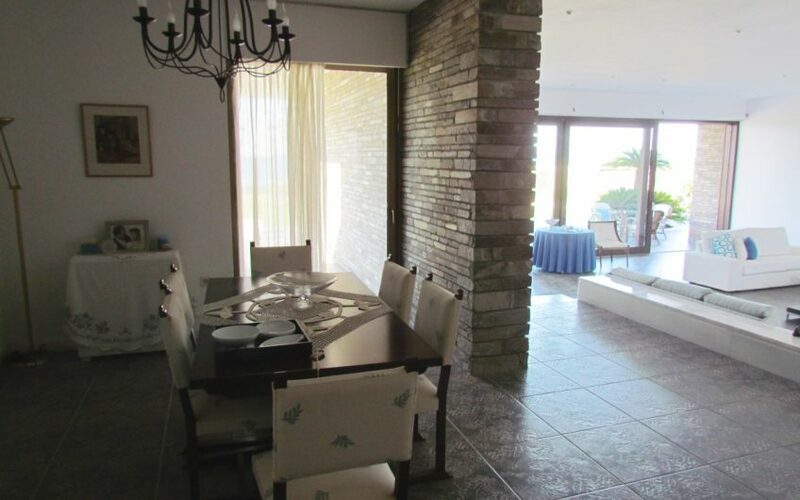 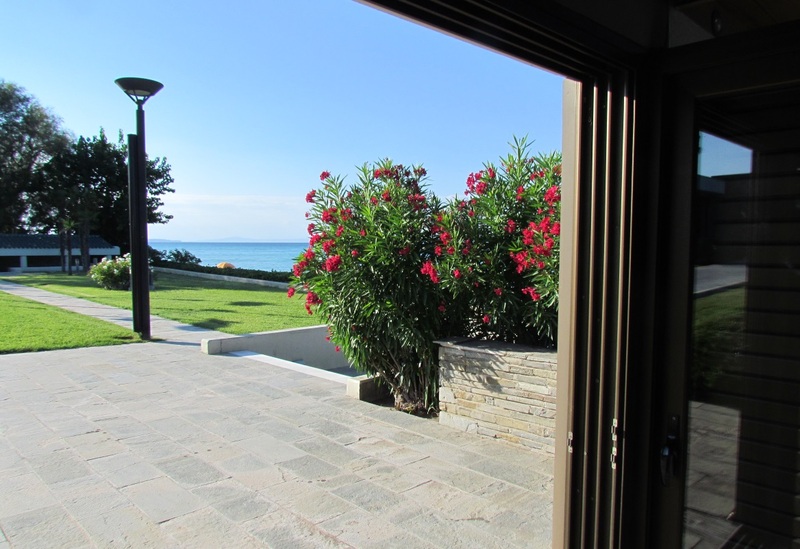 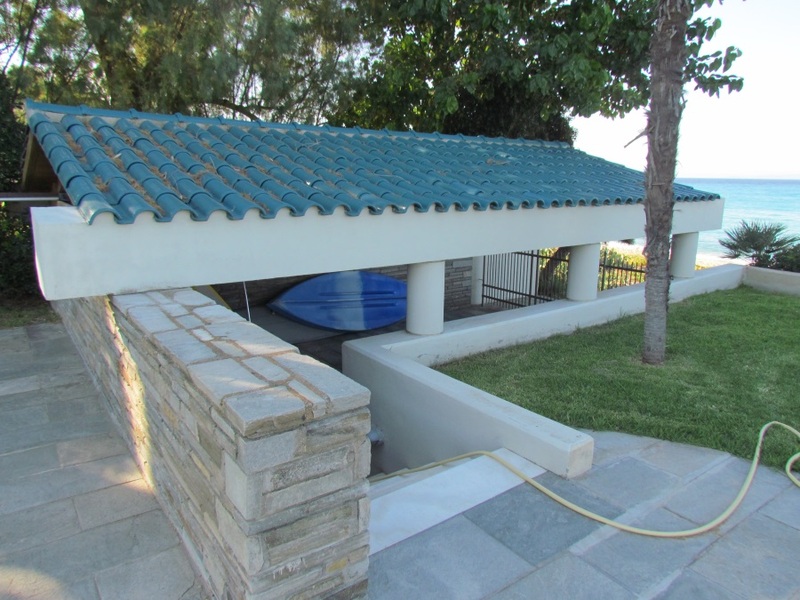 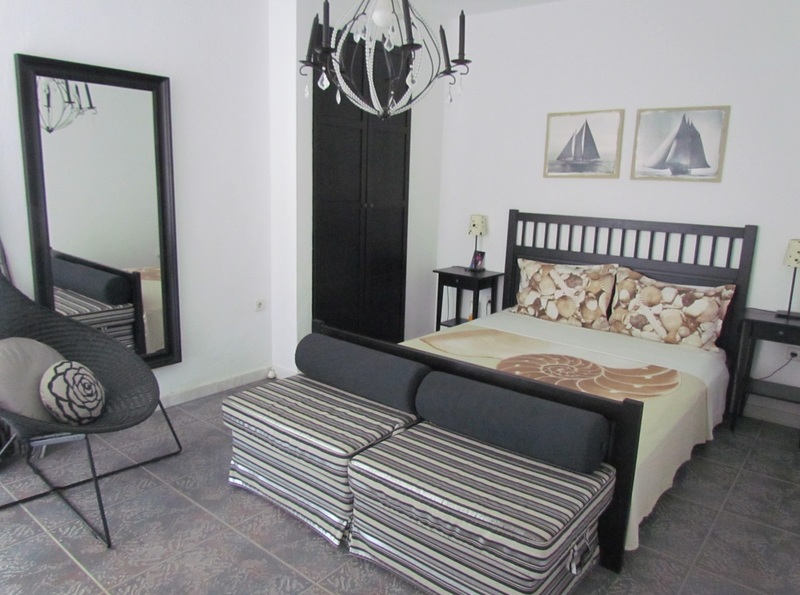 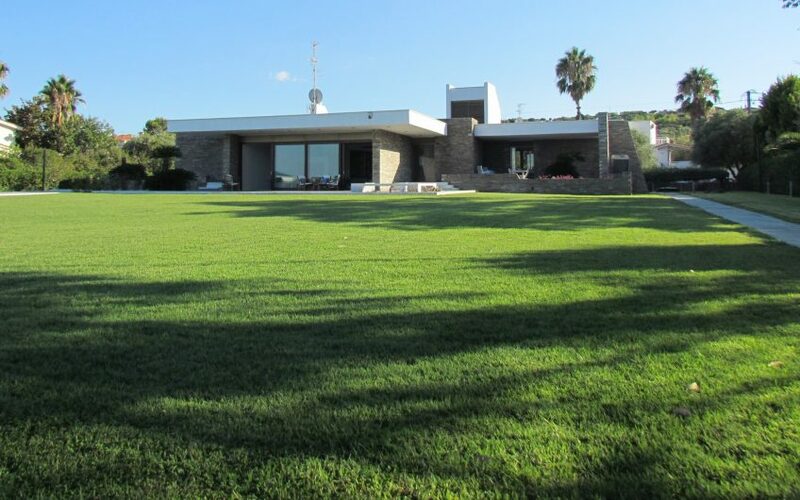 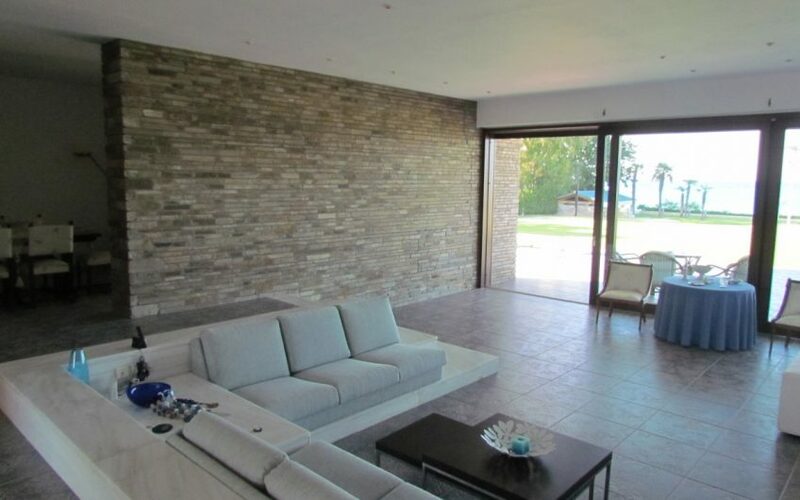 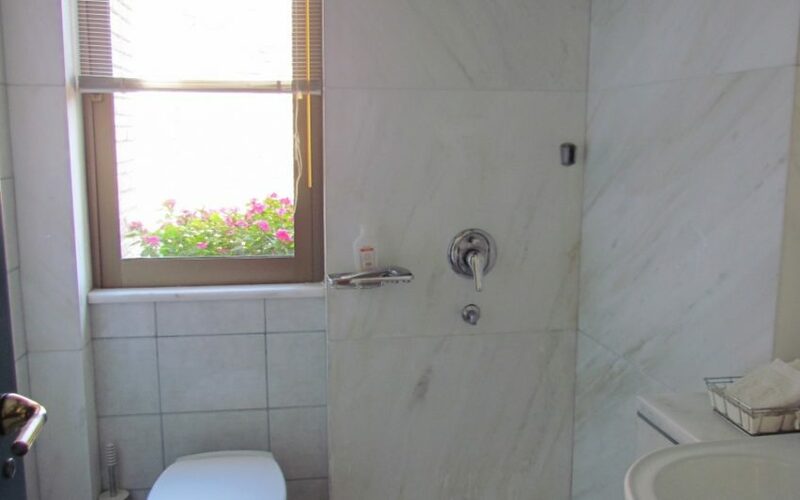 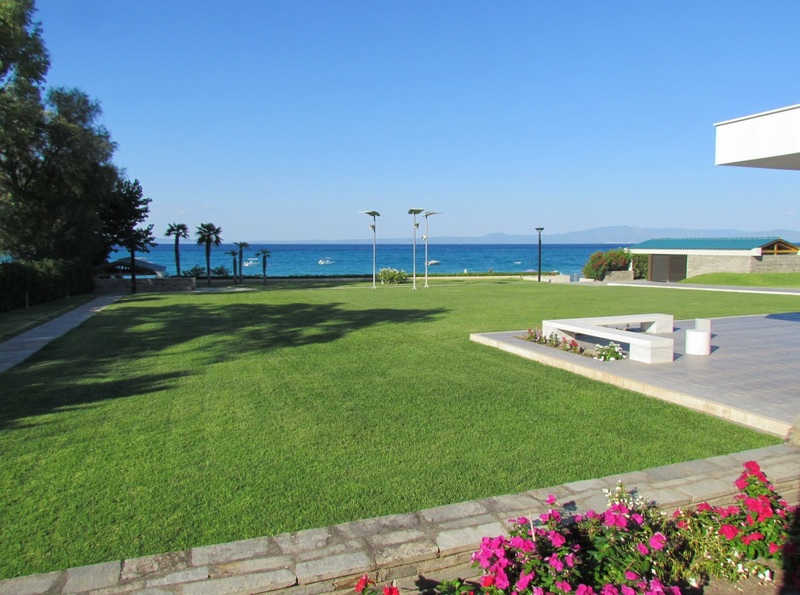 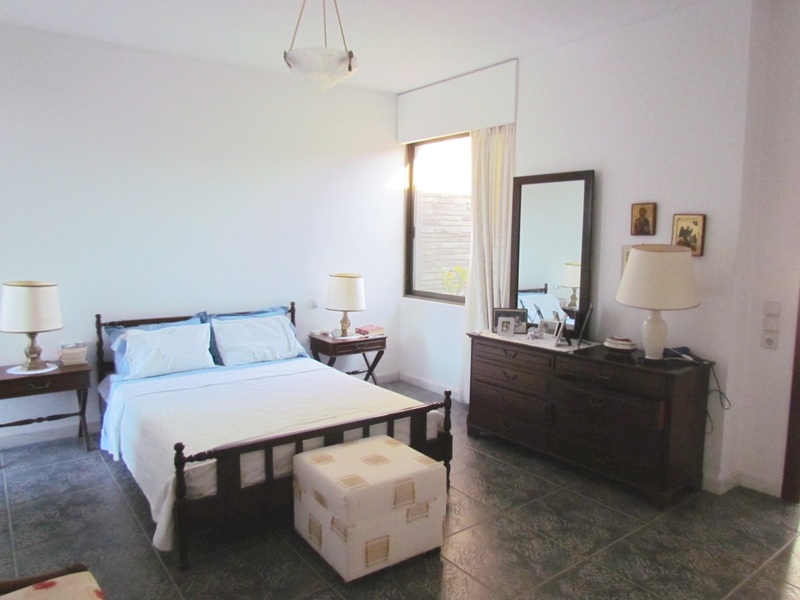 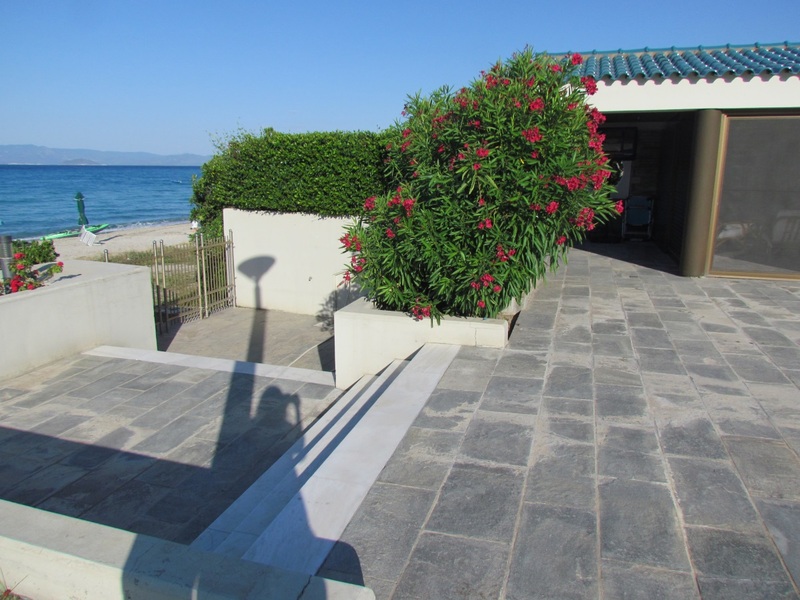 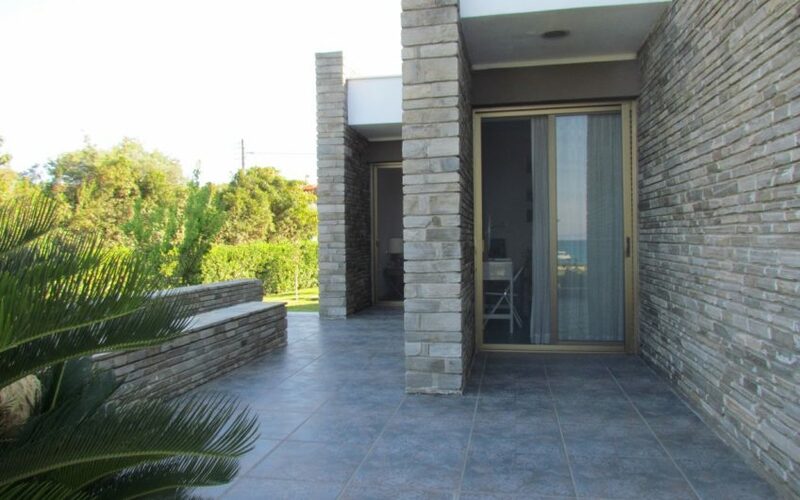 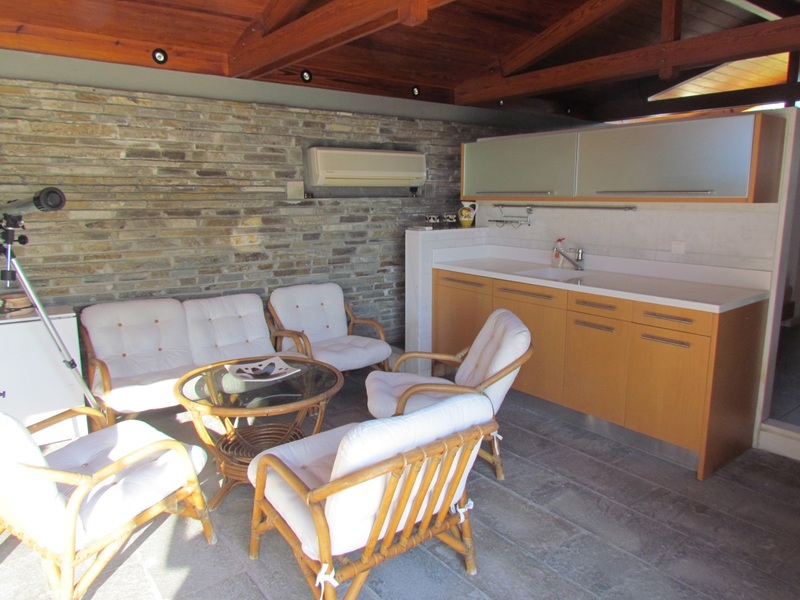 This stunning home, located in southeast Kassandra, sits on a 4,000 sq.m. 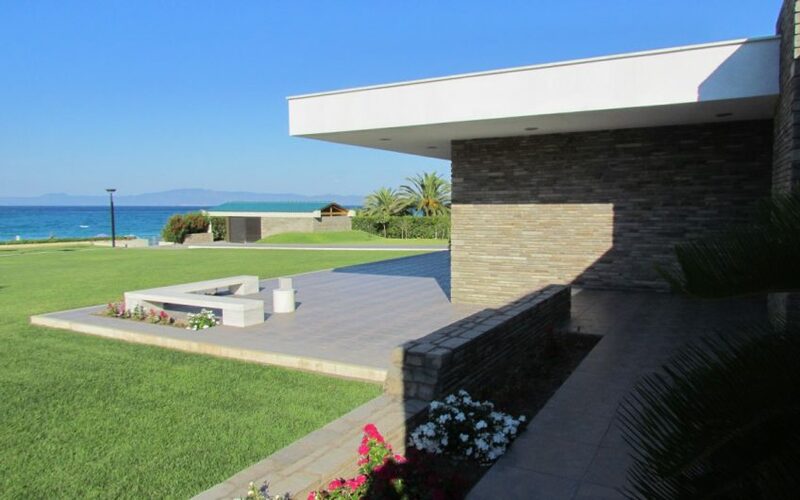 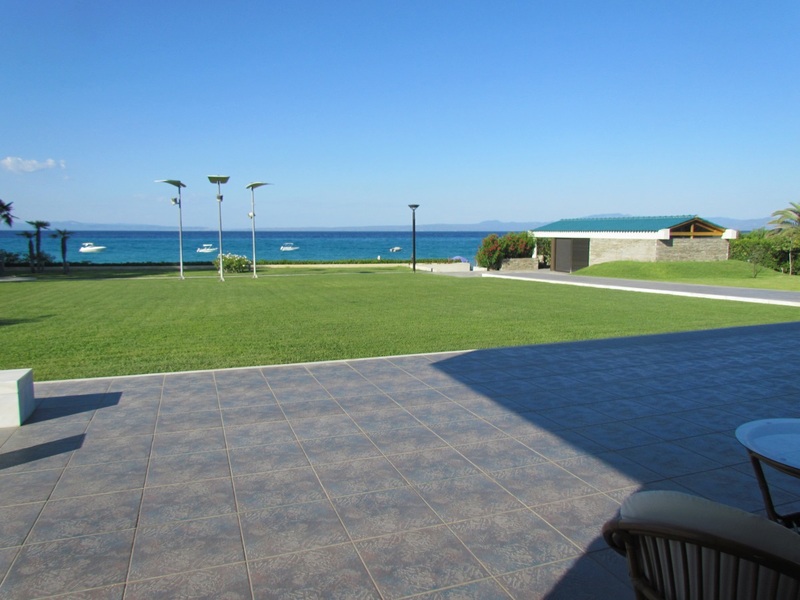 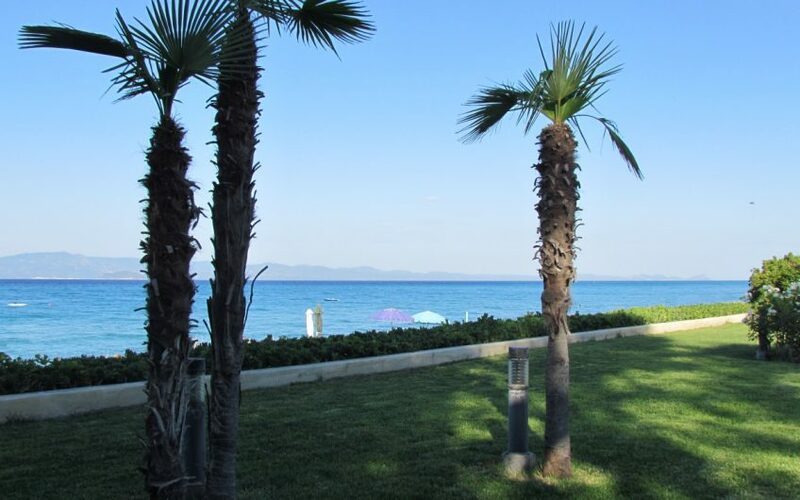 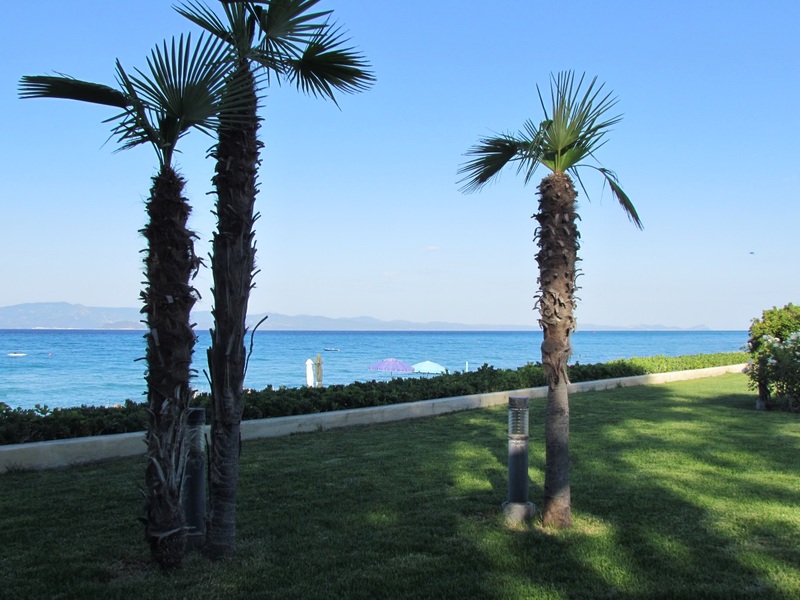 shoreline land-plot facing Toroneos gulf and Sithonia peninsula. 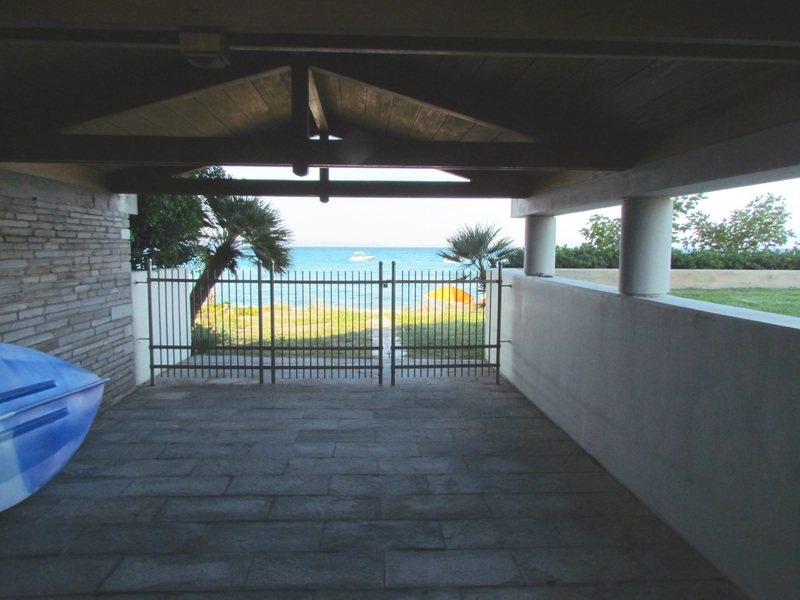 The main structure is laid out on the ground floor and offers 500 sq.m. 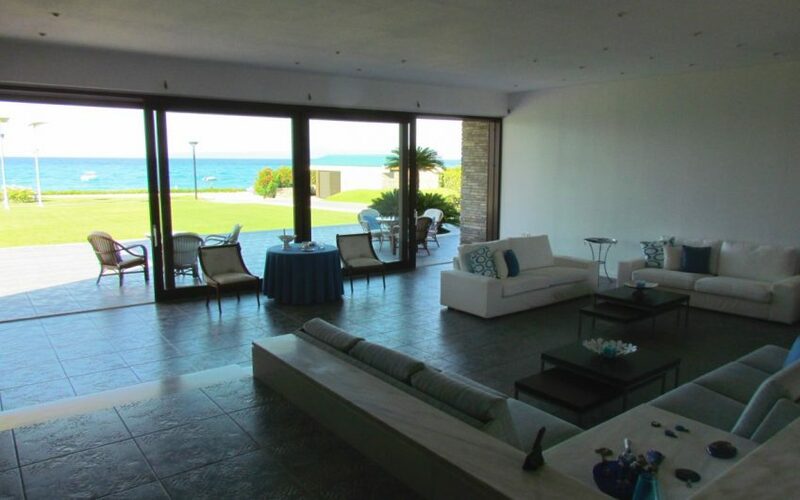 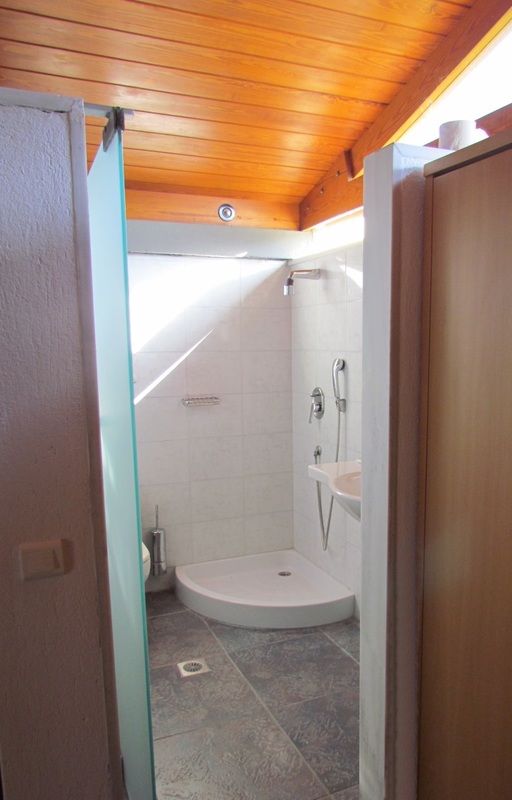 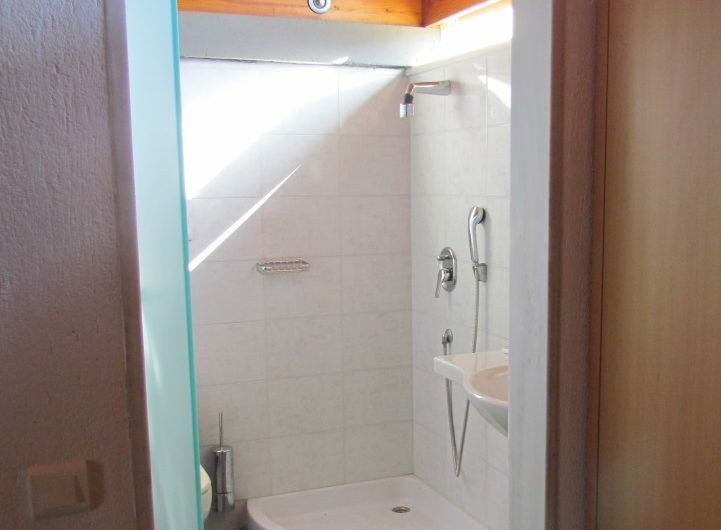 of indoor space as well as 500 sq.m. 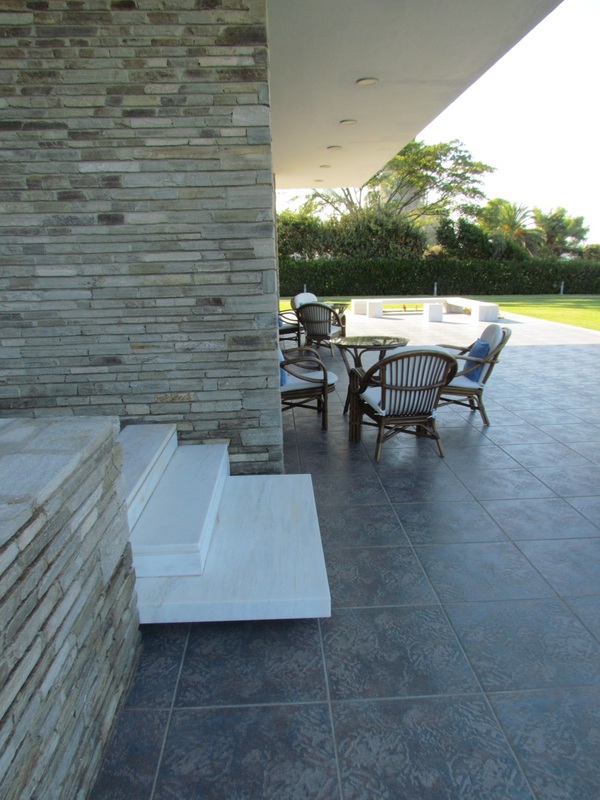 of surrounding patios/terraces. 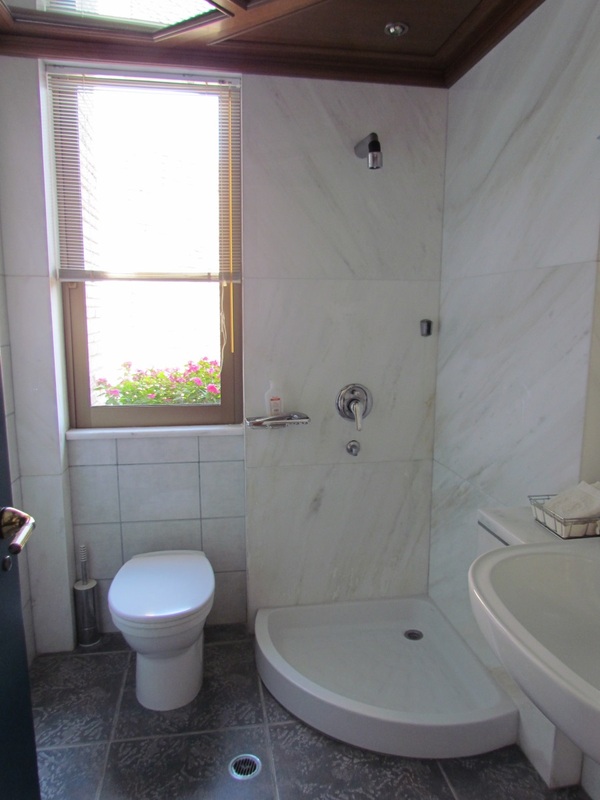 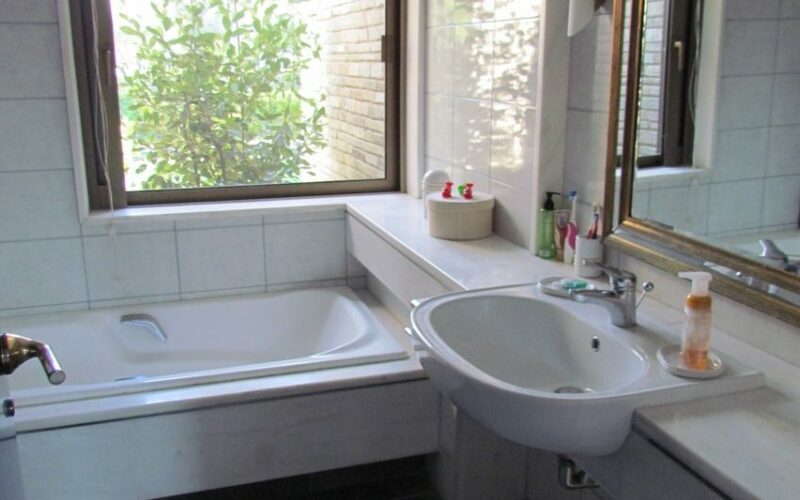 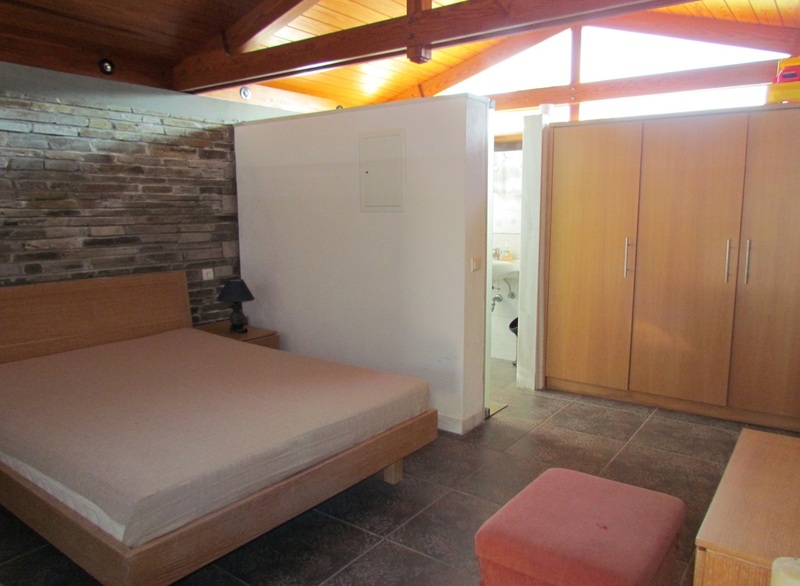 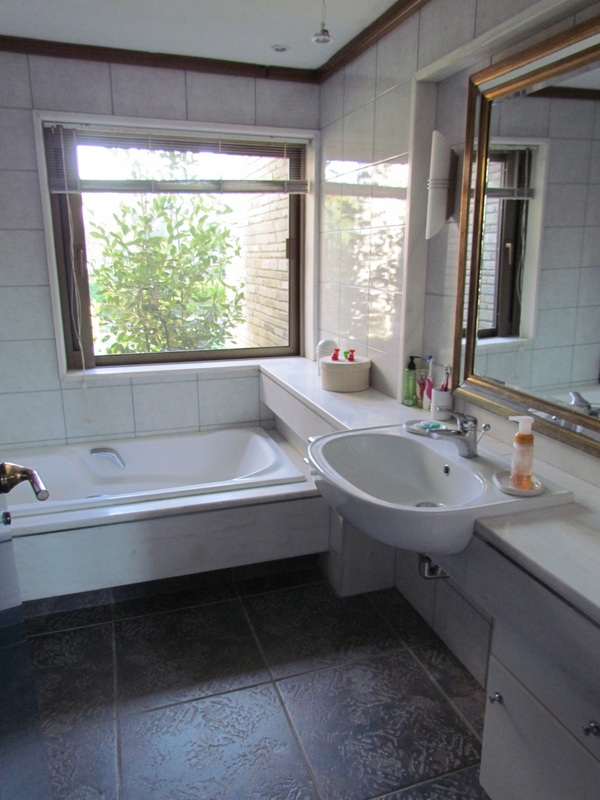 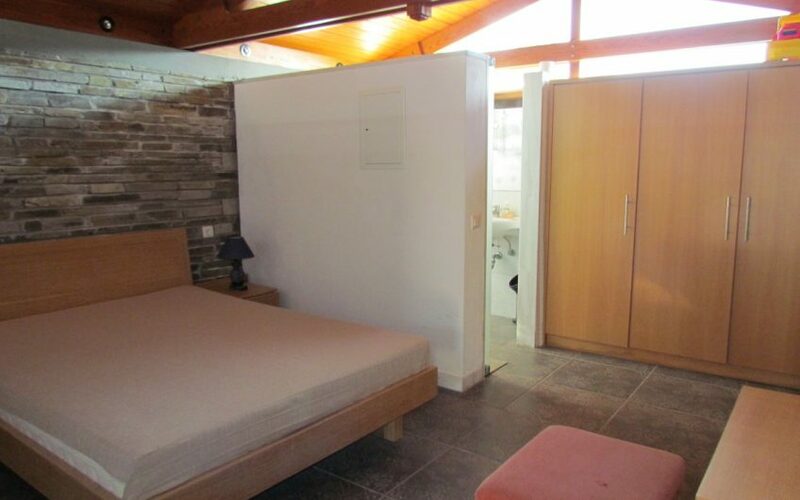 It includes a total of eight (8) bedrooms, three of which are suites & seven (7) bathrooms, wide, spacious lounge areas, as well as storage and utility rooms. 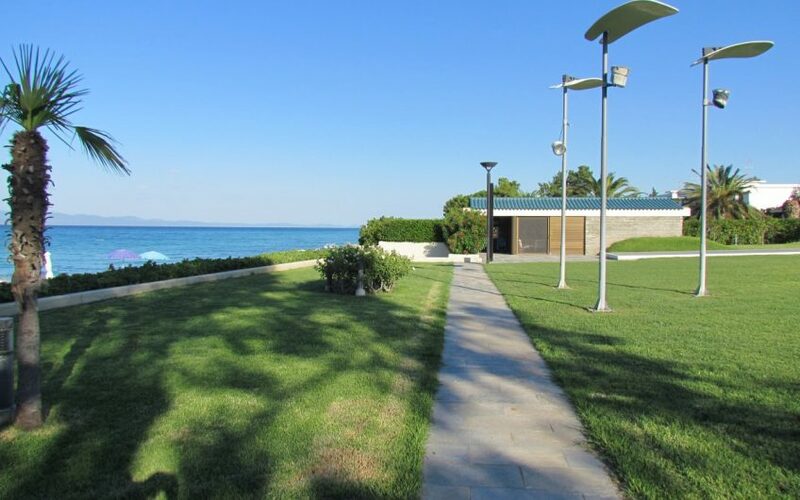 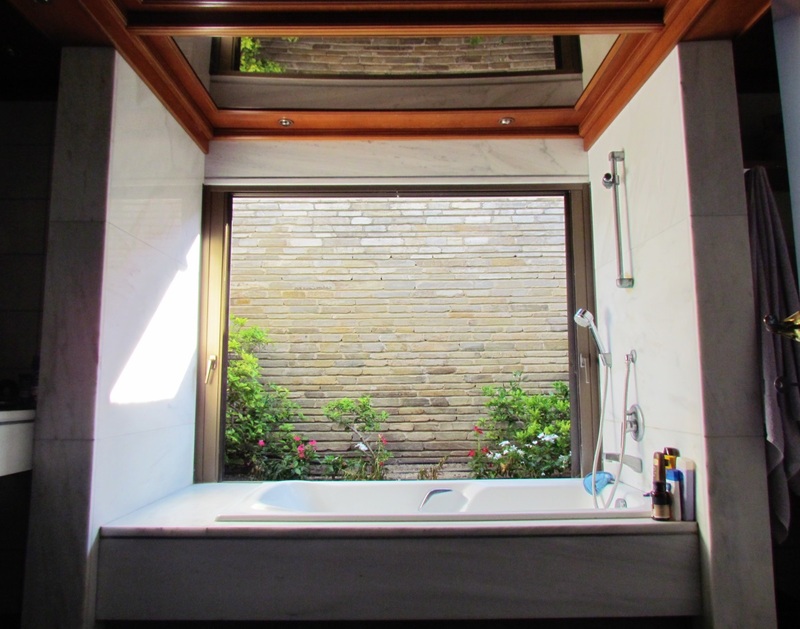 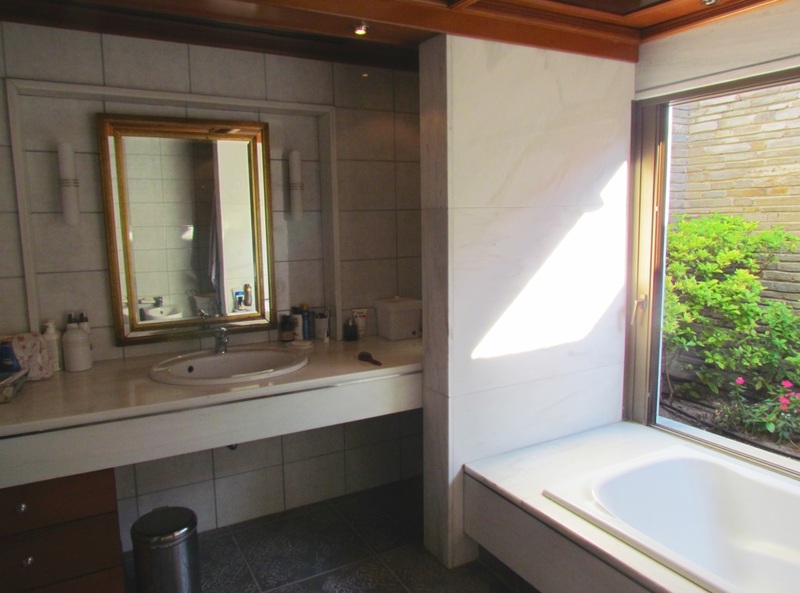 The villa is fully equipped and includes central Air Conditioning (Clima) for heating and cooling, while it also features bullet-proof exterior frames. 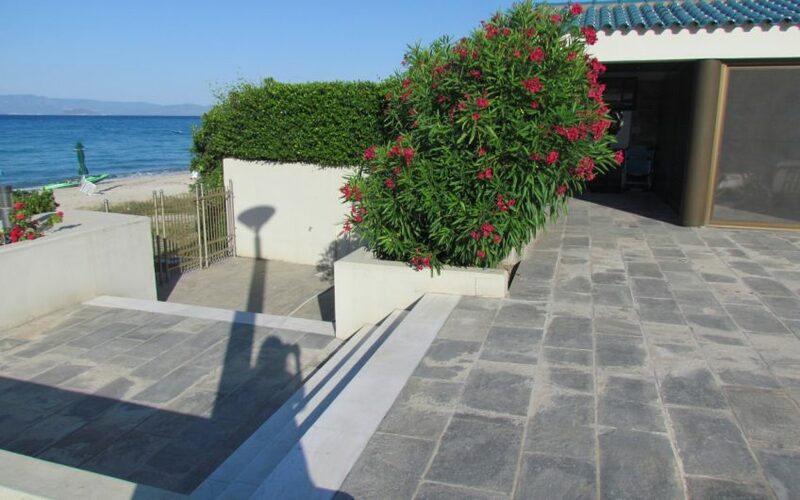 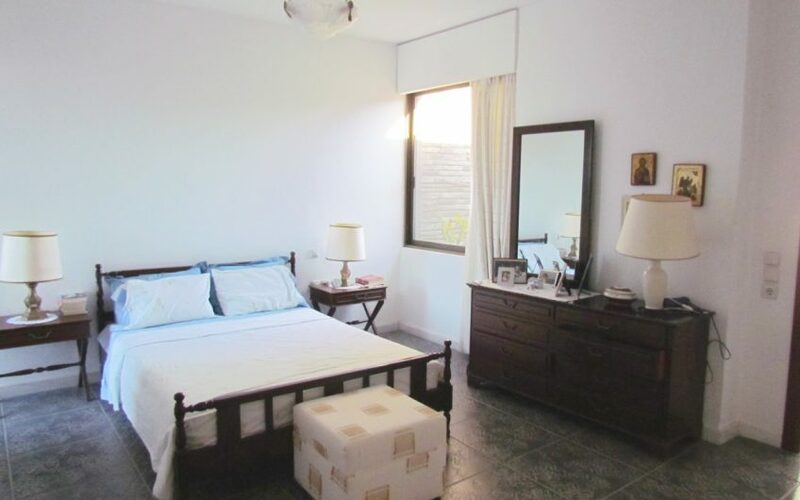 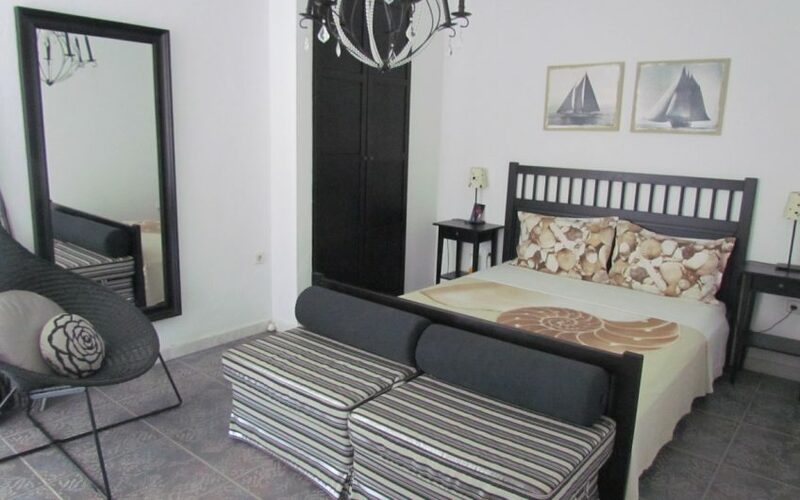 At the edge of the garden, by the beach, the property also offers a separate guest bungalow (with kitchen and one bedroom) as well as a covered boat park area. 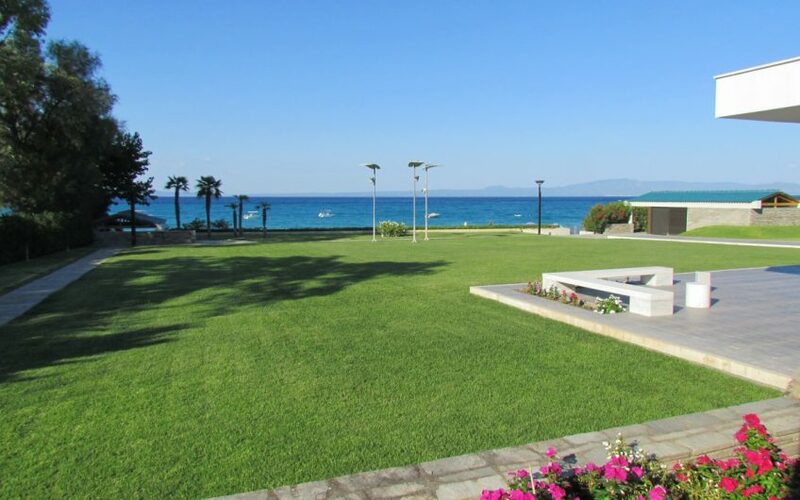 The shoreline and the sea bed are sandy while the crystal clear waters are mostly calm. 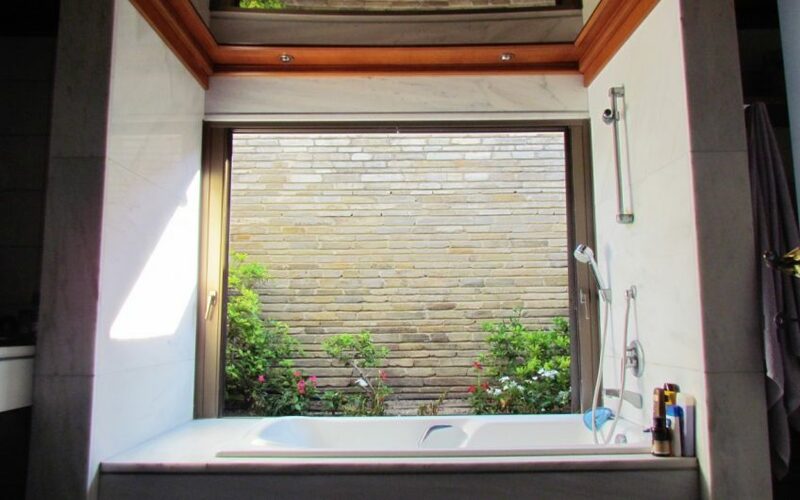 Micro-location is peaceful. 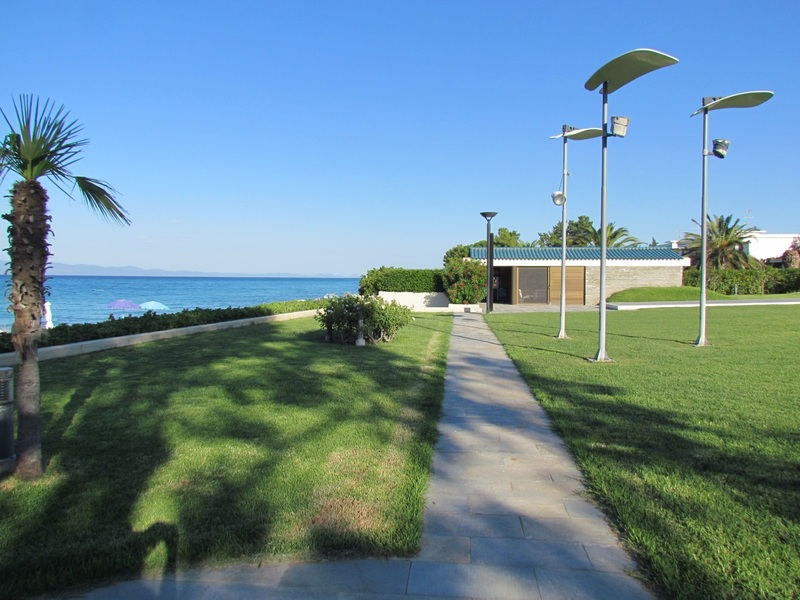 Distance to the nearby village is a short 10 minute walk.